Joseph (Russian : Иосиф) (died April 15, 1652) was the sixth Patriarch of Moscow and All Russia, elected after an unusual one and a half year break. 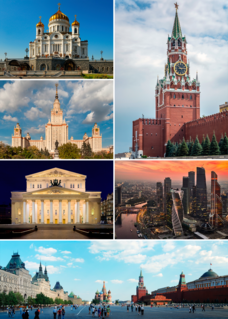 Russian is an East Slavic language, which is official in the Russian Federation, Belarus, Kazakhstan and Kyrgyzstan, as well as being widely used throughout Eastern Europe, the Baltic states, the Caucasus and Central Asia. It was the de facto language of the Soviet Union until its dissolution on 25 December 1991. Although, nowadays, nearly three decades after the breakup of the Soviet Union, Russian is used in official capacity or in public life in all the post-Soviet nation-states, as well as in Israel and Mongolia. The title archimandrite, primarily used in the Eastern Orthodox and the Eastern Catholic churches, originally referred to a superior abbot (hegumenos) whom a bishop appointed to supervise several 'ordinary' abbots and monasteries, or to the abbot of some especially great and important monastery. Simonov Monastery in Moscow was established in 1370 by monk Feodor, a nephew and disciple of St Sergius of Radonezh. Valdemar Christian of Schleswig-Holstein was the son of king Christian IV of Denmark and his morganatic spouse Kirsten Munk. He had the title Count of Schleswig-Holstein. Tsarevna (Царевна) was the daughter of a Tsar of Russia before the 18th century. The name is meant as a daughter of a Tsar, or as a wife of a Tsarevich. The Zealots of Piety was a circle of ecclesiastical and secular individuals beginning in the late 1630s in Russia at the time of church schism, which gathered around Stefan Vonifatiyev, the confessor of tsar Alexei Mikhailovich. The impetus to the group's formation was the Time of Troubles. The members believed the massacres and conflagrations of the time to be the manifestation of a wrathful God, angry with the Russian people's lack of religiosity. In response, the group called for the rebirth of the Russian Orthodox faith, and a renewal of the religious piety of the masses. Aleksey Mikhailovich was the tsar of Russia from 1645 until his death in 1676. His reign saw wars with Poland and Sweden, schism in the Russian Orthodox Church, and the major Cossack revolt of Stenka Razin. Nevertheless, at the time of his death Russia spanned almost 2,000,000,000 acres (8,100,000 km2). Nikon, born Nikita Minin was the seventh Patriarch of Moscow and all Rus' of the Russian Orthodox Church, serving officially from 1652 to 1666. He was renowned for his eloquence, energy, piety and close ties to Tsar Alexis of Russia. 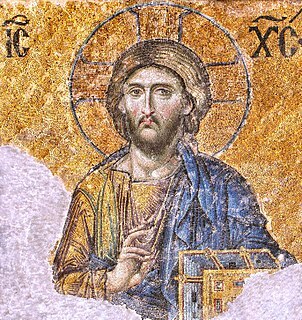 Nikon introduced many reforms which eventually led to a lasting schism known as Raskol in the Russian Orthodox Church. For many years he was a dominant political figure, often equaling or even overshadowing the Tsar. His liturgical reforms were unpopular among conservatives. In December 1666, Nikon was tried by a synod of church officials, deprived of all his sacerdotal functions, and reduced to the status of a simple monk. In Eastern Orthodox church history especially within Russian Orthodox Church, the Old Believers or Old Ritualists are Eastern Orthodox Christians who maintain the liturgical and ritual practices of the Eastern Orthodox Church as they existed prior to the reforms of Patriarch Nikon of Moscow between 1652 and 1666. Resisting the accommodation of Russian piety to the contemporary forms of Greek Orthodox worship, these Christians were anathematized, together with their ritual, in a Synod of 1666–1667, producing a division in Eastern Europe between the Old Believers and those who followed the state church in its condemnation of the Old Rite. Tikhon of Moscow, born Vasily Ivanovich Bellavin, was a bishop of the Russian Orthodox Church (ROC). On 5 November 1917 (OS) he was selected the 11th Patriarch of Moscow and All Russia, after a period of about 200 years of the Synodal rule in the ROC. He was canonised as a confessor by the ROC in 1989. The Russian Orthodox Church Outside Russia, or ROCOR, also until 2007 part of True Orthodoxy's Russian Orthodox Church Abroad, ROCA, historically also referred to as Karlovatsky Synod, or "Karlovatsky group", or the Synod of Karlovci, is since 2007 a semi-autonomous part of the Russian Orthodox Church. The ROCOR was established in the early 1920s as a de facto independent ecclesiastical jurisdiction of Eastern Orthodoxy initially as a result of some of the Russian bishops having lost regular liaison with the central church authority in Moscow due to the Russian Civil War and subsequent exile, a situation that was later effectively institutionalised by their rejection of the Moscow Patriarchate′s unconditional political loyalty to the Bolshevik regime in the USSR formally promulgated by the Declaration of 20 July 1927 of Metropolitan Sergius (Stragorodsky), deputy Patriarchal locum tenens. Metropolitan Antony (Khrapovitsky), of Kiev and Galicia, was the founding First Hierarch of the ROCOR. Antonievo-Siysky Monastery is a Russian Orthodox monastery that was founded by Saint Anthony of Siya deep in the woods, 90 km to the south of Kholmogory, in 1520. Currently the monastery is located in Kholmogorsky District of Arkhangelsk Oblast in Russia, inside the nature protected area, Siysky Zakaznik. Maria Ilyinichna Miloslavskaya was a Russian tsaritsa as the first spouse of tsar Alexis of Russia. She was the mother of tsar Feodor III of Russia, tsar Ivan V of Russia, and the princess regent Sophia Alekseyevna. Epifany Slavinetsky was an ecclesiastical expert of the Russian Orthodox Church who helped Patriarch Nikon to revise ancient service-books. His actions precipitated the raskol, the great schism of the national church. The Russian True Orthodox Church, commonly known as the Catacomb Church, is a denomination that separated from the Russian Orthodox Church during the early years of Communist rule in the Soviet Union. It is a part of what is called True Orthodoxy. While the True Orthodox Church in Russia was never a single organization, many of its followers were labeled Josephites, after Metropolitan Joseph of Leningrad, the leader of its largest branch. Irina Mikhailovna, was a Russian Tsarevna, the eldest daughter of Tsar Michael of Russia from his second marriage to Eudoxia Streshneva, a noblewoman from Mozhaysk. She was the elder sister of Alexis of Russia. Jeremias III (Greek: Ιερεμίας Γ΄, was Ecumenical Patriarch of Constantinople two times, in 1716–1726 and 1732–1733. Kórmchaia Book, pl. Kórmchiye Books or Books of the Pilot or Pidalion or Nomocanon are collections of church and secular law, which constituted guide books for the management of the church and for the church court of Orthodox Slavic countries and are transmission of several old texts. It were written in Old Church Slavonic and Old Russian. Metropolitan Tikhon is a bishop of Russian Orthodox Church and a popular writer. He is the Metropolitan of Pskov and Porkhov and the head of the Western Vicariat of Moscow city. Superior of the Sretensky Monastery in Moscow. Bishop Tikhon is often referred as the personal confessor of Russian President Vladimir Putin. Athanasius III Patellarios was the Patriarch of Constantinople in 1634, 1635 and 1652. Before his patriarchate Athanasius was metropolitan of Thessaloniki. He participated at Patriarch Nikon's book editing reforms in 1653.